What follows is a primer on the key security-oriented characteristics of the HTTP protocol. It’s a collection of a number of different sub-topics, explained in my own way, for the purpose of having a single reference point when needed. You make a request, you get a response. Lines are quite significant in HTTP. Each header is on an individual line (each line ends with a <crlf>), and a blank line separates the header section from the optional body section. HTTP doesn’t have the concept of state built-in, which is why things like cookies are used to track users within and across sessions. A query string is defined by using the question mark (?) character after the URL being requested, and it defines what is being sent to the web application for processing. They are typically used to pass the contents of HTML forms, and are encoded using name:value pairs. In the request above the parameter is the “query” value–presumably indicating it’s what’s being searched for. It is followed by an equals sign (=) and then the value of the parameter. Ampersands are used to separate a list of parameters being sent to the same form, e.g. sending a query value, a language, and a verbose value to a search form. …Only alphanumerics [0-9a-zA-Z], the special characters “$-_.+! *'(),” [not including the quotes – ed], and reserved characters used for their reserved purposes may be used unencoded within a URL. ASCII Control Characters: because they’re not printable. Reserved Characters: these are kind of like system variables in programming–they mean something within URLs, so they can’t be used outside of that meaning. Unsafe Characters: characters that could be misunderstood and cause problems. This is why you see so many instances of %20 in your URLs. That’s the URL-encoding for a space. Notice that the action URL is HTTPS, which means that the credentials entered into the form will be sent encrypted to that page. IWA isn’t an authentication protocol itself, but rather a means of assigning a preferential order to various protocols, such as Kerberos, NTLMSSP, and SPNEGO. This is being replaced with Kerberos now, but it’s still out there. Client sends a Type 1 message telling the server what it supports in terms of key sizes, etc. The Request Headers [OPTIONAL]: a series of lines (one per) in the format of name, colon(:), and the value of the header. A Blank Line: required, worth mentioning by itself. The Request Body [OPTIONAL]: Used in POST requests to send content to the server. GET This most-commonly-used method is used mostly to retrieve something from the server, but it can also be used to send information via parameters. There is no body in a GET request, but the blank line is still sent after the headers. GET requests are often logged and are sent in referrer headers, so no sensitive information should ever be sent using this method. POST This method sends performs actions. The content sent can be located either in the URL query string or within the body of the message. POST should always be used to perform actions on the server, such as logging in, etc. TRACE Tells the server to echo back whatever is sent by the client. Highly significant for Reflected XSS, obviously. PUT Sends data to the server like POST, but as an upload rather than for processing. Think of it like FTP’s PUT command. HEAD Just like a GET request, only it returns just the headers of the response. OPTIONS Retrieves a list of the methods supported by the server. CONNECT Used to connect to resources through a proxy. The Response Headers: a series of lines (one per) in the format of name, colon(:), and the value of the header. The Response Body: contains the response from the server. 200 – OK This most-commonly-seen response code, and it means that the resource you asked for was there, and that it has been returned to you. 301 – Moved Permanently Tells the client that the resource that was asked for has been moved permanently, and supplies a new URL that should be used instead from now on via the Location: header. 302 – Found (Used to be “temporary-redirect”) This is the most common redirect code, but it actually has multiple sub-types that have been broken out in HTTP 1.1 (303/307); most servers still use 302, however, even though they should be using 303 or 307 instead. 303 – See Other The proper, HTTP 1.1 way of sending a client to another page, indicated in the Location: header); tells the browser to get the new page via GET, regardless of what the original method was; commonly used after POST, e.g. being sent to your account_summary page after logging in; see 307 also. 304 – Not Modified Tells the client that the resource hasn’t been modified since last requested; works based on the client sending the If-Modified-Since header beforehand to check against. 307 – Temporary Redirect Tells the client that the resource is somewhere else, but unlike the 303 it requires the method to be the same for the new request. See 303 also. 400 – Bad Request Indicates bad syntax sent by the client. Often the result of mangling something while using an intercepting proxy, or having an inconsistent Internet connection that borked what the server received. 401 – Unauthorized This is like saying you’re currently not authorized, but it’s sent along with a WWW-Authenticate header that tells you how you can try to prove yourself. This is in contrast to the 403, which just says “no”. 403 – Forbidden This is saying three things. 1) the thing you asked for is there, 2) you don’t have access to it, and 3) you’re not allowed to ask for access to it. This is in contrast to the 401 where you’re given the option to authenticate. 404 – Not Found The thing you’re asking for isn’t there. 405 – Method Not Allowed You asked for a resource using a method that the server does not allow. 408 – Request Timeout The request took to long to complete, i.e. longer than the server was prepared to wait. 500 – Internal Server Error A generic error given when nothing more specific is available. 501 – Not Implemented The server doesn’t understand or speak the requested method. Often seen with PROPFIND requests. 503 – Service Unavailable (Fail Whale) Twitter made this one famous. * A more complete list of status codes can be found here. Here are the main headers used by HTTP. For a more complete list (including non-security-related ones) look here. Chunked encoding is used to avoid having to define an accurate message size before sending dynamic content, as it breaks it into pieces followed by a chunk of zero bytes. Pragma The old way of telling clients how to handle caching; is ignored by many browsers; Cache-Control or Expires should be used instead. * Additional, excellent information on caching can be found here. There are three primary considerations when looking at how HTTP proxies work: 1) whether you’re connecting to an HTTP vs. HTTPS resource, 2) whether the proxy is explicit or transparent, and 3) whether the proxy requires authentication. To connect to an HTTP resource through a proxy the client sends the full URL it wants to reach, including the protocol, host, and path. The proxy parses all that information and uses it to make its own new request on your behalf. This won’t work for secure resources because an SSL/TLS handshake needs to occur, and we don’t generally want our corporate proxy seeing our bank details, or what have you. This is handled via the CONNECT method, which tells the proxy that it wants to be connected to the remote server at the TCP layer–not at the HTTP layer. The proxy returns a 200 response and from that point on you’re talking to the remote server, and you can then perform your handshake with the endpoint rather than the proxy in the middle. The issue with transparent proxies is that a 407 can’t be used because the client doesn’t even know it’s dealing with a proxy. Integrated Windows Authentication is one case that often has issues with proxies, but some vendors like BlueCoat have workarounds. Cookies are critical to security because they involve the sever setting information on the client, which it assumes the client will send back unmodified. Many developers make that assumption, and as a result they often place sensitive information within them which attacks can use to break the security of the application. Cookies are set on the browser by the Set-Cookie header from the server. Cookies are meant to be transparent, so they’re sent to the server every time the client makes a request. The server can set multiple cookies by simply sending multiple Set-Cookie header values. All cookie values sent to the client via Set-Cookie are then combined into a single cookie, which is then sent to the server with a Cookie header. Each cookie is separated by a semicolon (;). A major part of attacking web applications involves evaluating what sort of information is stored in cookies by the server, and determining whether it it can be deconstructed, manipulated, reconstructed, and re-sent to the server to gain unauthorized access. In HTTP version 1.1 the Host: header is mandatory. The referer (sic) header was misspelled in the original spec, and it remains so in the actual protocol today. 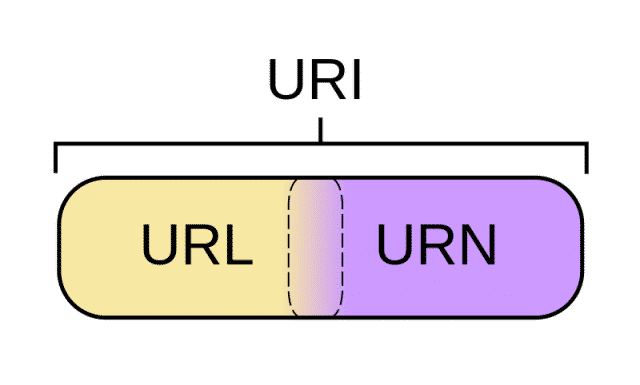 URLs are actually a specific type of URI, so they are not the same–despite what you may read or hear. 1 The one must-read book on Web Security is The Web Application Hacker’s Handbook, by Dafydd Stuttard and Marcus Pinto. 2 Most everything you need to know about caching can be found here.